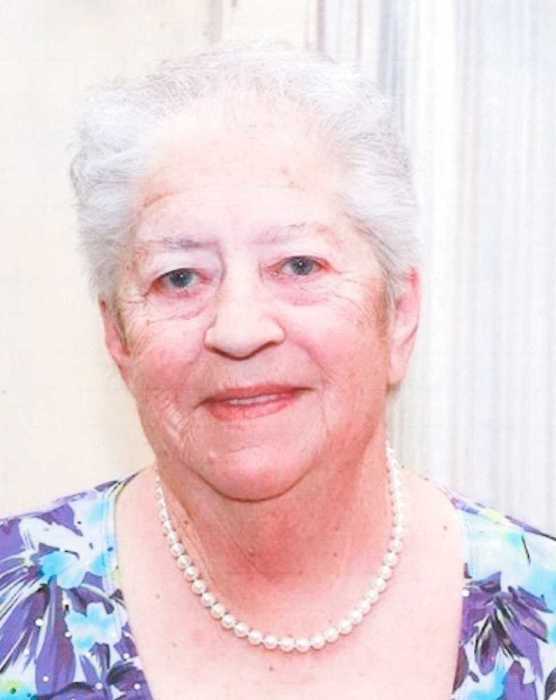 Arlene Hehr, 74, Fredonia, ND died Saturday March 23, 2019 at the Ipswich Care Center in Ipswich, SD. Arlene was born January 3, 1945 at Ashely, ND, the daughter of Jacob and Rose (Meidinger) Steinmetz. She grew up on the family farm home near Kulm, ND and received her elementary education in the local rural school. Arlene and Lester Hehr were married August 26, 1962 at the Martin Luther Lutheran Church in Fredonia, ND. They made their home in Fredonia. In 1962 they bought the Edward Tiede farm and lived there, raising beef cattle and working the dairy by selling whole milk and producing grain. Following the death of her husband November 22, 2010 she continued to live on the farm until 2013 when Arlene moved into Fredonia. Arlene raised many gardens along with small farm animals. Arlene learned by ear to play the accordion and started her own band known as The Wipe Outs. She continued with her playing and eventually made a CD with Da Heck Mitt Schultz Band. She had quit milking cows and decided to become Co-Owner, Manager of Home Plate Cafe in Fredonia, ND and retiring in 2008. Arlene always made guests feel welcomed, always seen GOOD in people. No one ever went hungry; she cooked a lot of food for many people through-out her lifetime. She was a member of the Martin Luther Lutheran church in Fredonia. She was also an auxiliary member of the America Legion Post 260. Arlene enjoyed watching her grandchildren and great grandchildren grow and all the new things they had to show her. She enjoyed spending time going to their activities when she was able; she enjoyed listening to "Old Time"
music and coffee time with friends at The Home Plate Cafe. She will be truly missed by all. She is survived by her 4 sons, Lauren (Robin) Hehr, Fredonia, ND; Randall Hehr, Fredonia, ND; Keith (Mary) Hehr, Montpelier, ND; Warren (Wanda) Hehr, Fredonia, ND; 1 daughter, Lisa (Scott) Habeck, Ipswich, SD; 14 grandchildren; 24 Great grandchildren; 1 sister, Kathleen (Gordon) Irion, Kulm, ND; 1 brother Delbert (Cecelia) Steinmetz, Kulm, ND; many relatives, nieces, nephews, and her companion, her cat Snowball. She was preceded in death by her parents, her husband, 1 grandson, Jeremy, 1 granddaughter Michelle Giesler; 3 brothers, Lee-Roy, James and Wilbert.